Today, October 10th, is World Mental Health Day – a day to highlight and support people who are dealing with mental health issues. 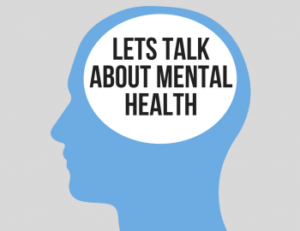 There have recently been lots of high-profile media campaigns stressing the importance of encouraging people to speak up about their mental health and trying to address the taboo nature many people still view them with. The reality is lots of people, as high as one in four, struggle with their mental health. This can range from people with mild anxiety and depression through to schizophrenia, severe depression and bi-polar disorder. And anyone can be affected, at any time. Chances are someone you are close to is dealing with some form of mental health issue and the chances are you don’t know it. Encouraging people to speak up about their issues is a great start to dealing with them and if you know someone with something going on just being there to listen is often more powerful than you could imagine. But where does CrossFit come in to this issue? The benefits of exercise on mental health have been studied, confirmed, denied, re-confirmed, slated and then deemed inconclusive for years. Years ago, the British Medical Journal published an article on how exercise was no help for depression. It was immediately slated publicly by many mental health organisations and sufferers who were clear that anecdotally exercise had helped many, many people deal with depression and anxiety. So, the science is out for opinion but personally I can’t see how exercise, in particular CrossFit, could be anything but helpful for people dealing with mental health issues. Firstly, exercise is great for stress relief. Vigorous exercise releases a bucket load of endorphins, your brains feel good chemical, which can’t help but make you de-stress. Combined with the fact you get to walk into the gym and switch off from the outside world for an hour and you can’t help leave feeling a little less weight on your shoulders. Then we have the social aspect. Humans are social beings designed to live and work in groups. The very reason we dominant the food chain is because we were able to work and communicate in larger groups than other animals. Fast forward thousands of years and we are sitting in front of screens ignoring each other all day before we get in metal boxes and shout at other people for being on the road the same time as we are. Step into one of our classes and you will speak to, sweat with and be cared for by a large group of like-minded people. To me this can’t do anything but improve your mental health. Exercise has also been shown to improve our self-esteem which in turn will make us feel better mentally. Regular exercise will make us feel better about our self-image and appearance and achieving success in the gym, be it a PB lift or learning a new skill, will give us a sense of achievement. Getting into the pain cave in the gym will also help our resilience. Pushing through boundaries and learning to cope with challenging workouts will translate into the world outside of the gym as we show we ourselves we are more capable than we thought. Using exercise to deal with challenging situations rather than drugs or alcohol should make sense to anyone! And for me the biggest way in which CrossFit in particular can help our mental health is to make you feel part of something. It’s very easy in modern life to feel alone and segregated. Being part of a box will make you feel valued, accountable and supported – at least that’s what it does for me. So, whilst today is marked as the day to highlight and support mental health issues let’s remember that it is something that is always present in some people’s lives. If you or someone you know is dealing with some issues don’t be afraid to talk to someone or be there if someone wants to talk to you. If you feel you can’t approach your friends or family I genuinely mean that any of our coaches are always there to listen.